I had a potluck to go to this past weekend at a relative’s house, and having just finished with finals this year, there was no excuse not to bring some sort of baked contribution. I knew there was going to be a handful of kids at the potluck, mostly under age 10, so I wanted to bring something that would be decadent enough for the adults but also fun for the kids to eat, so something bite-sized would be ideal. And knowing that all the adults were going to be Asian, I knew I would have to go with a recipe that wasn’t too sweet either. Well, out of all those goals, I accomplished them all except for one… the adults ate all the cookies and left none for the kids! Haha so considerate. 2. 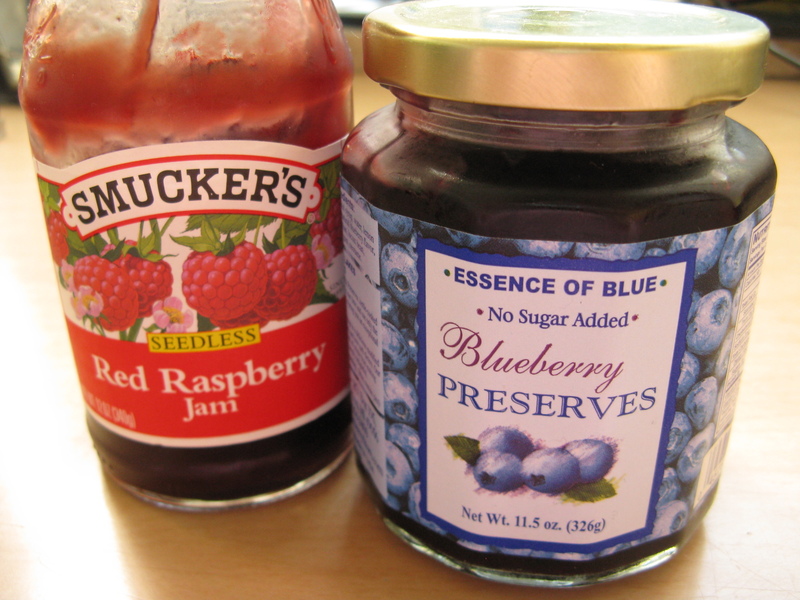 Beat butter and sugar in a large bowl until light and fluffy. I did not want my cookies to spread too much, so I softened the butter in the microwave for a little bit instead of letting it all come to room temperature. This cooler butter made it a little difficult to cream with the sugar at first, but after working at it for a minute or two it was nice and fluffy. 3. Add egg and beat until smooth. 4. Turn mixer down to low, add the flour, and mix until just incorporated. 5. Roll dough into 1-inch balls and place on foil-lined baking sheets about 2 inches apart. Using your thumb, make an indentation about 1/2-inch deep in each ball. 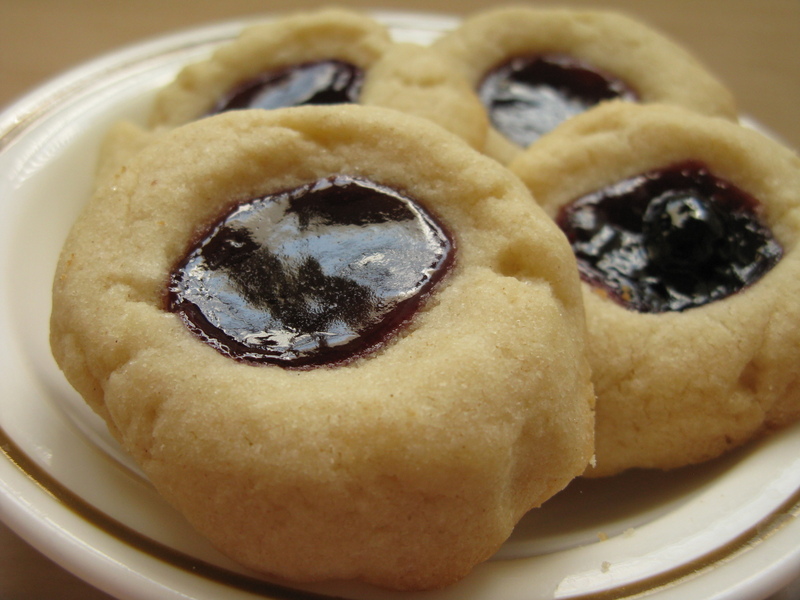 Fix the edges of the cookie as needed so that the indentation is round and completely surrounded (to prevent your jam from leaking out later). 6. 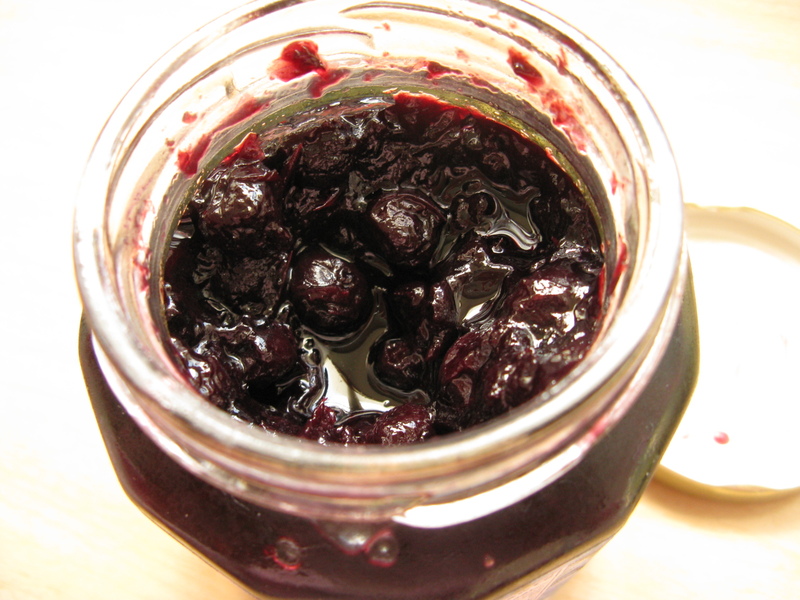 Melt your jam in a microwave until it is completely liquid (30 seconds for 1/2 cup of jam was enough for me). 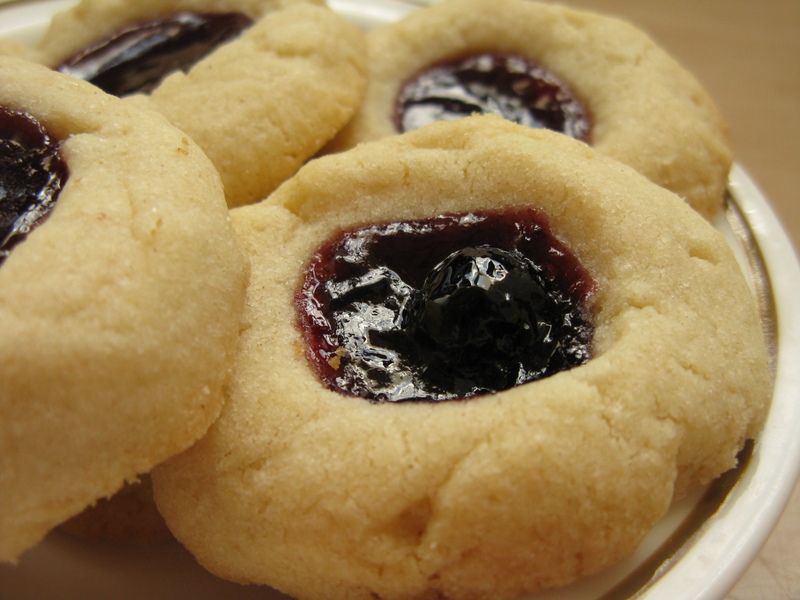 Spoon 1/2 tsp of jam into each cookie (or enough to fill 3/4 of the indentation you made). 7. Bake cookies for 18-20 minutes until edges start to turn golden-brown. Cool slightly before removing cookies from foil to cool completely (the jam centers are more delicate and if you try to pull them off right away the bottoms might break). 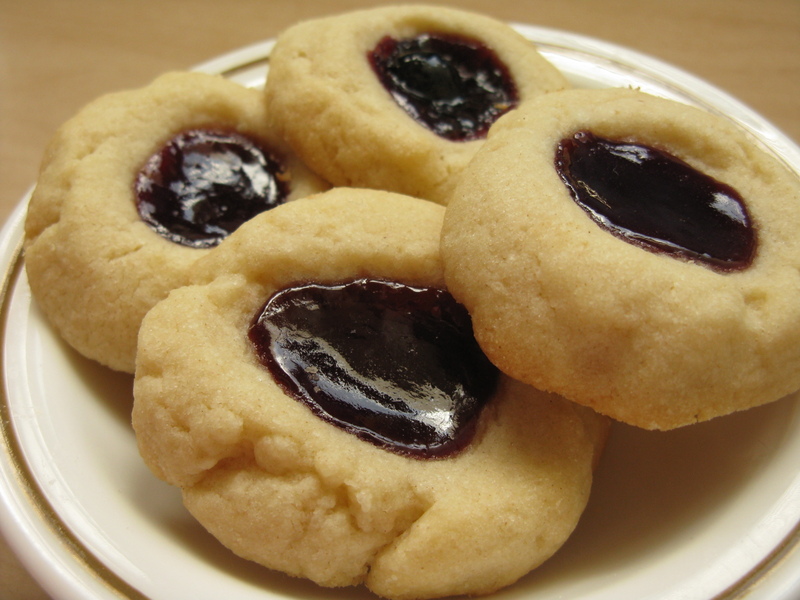 These jam thumbprints will be more crispy when fresh from the oven, and then will soften overnight. They freeze wonderfully – I have 2 dozen in my freezer that I’m enjoying a few at a time :P The buttery aroma of these cookies is so addictive, you won’t be able to stop at one!